Indonesia’s preparations to be a Market Focus Country at the upcoming London Book Fair (LBF) is 80 percent ready, according to the organizing committee chairperson Laura Bangun Prinsloo. Speaking at a media briefing on Monday, Laura further elaborated on the country’s plan to reach out to international markets at the book fair, to be held from March 12 to 14 in Olympia, London. Laura is also the chairperson of the National Book Committee (KBN), an institution tasked with promoting Indonesian literature abroad. Indonesia will use the theme 17,000 islands of imagination to reflect the vast diversity of the country’s literature. 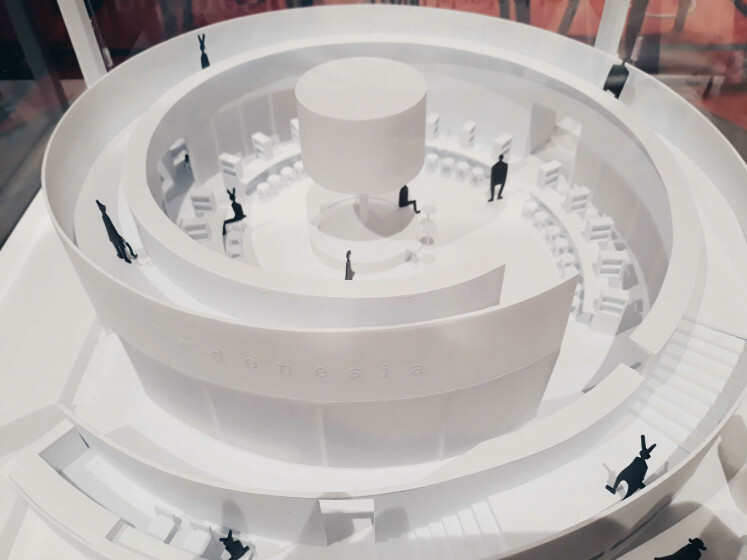 Designed by Andro Kaliandi and Fauzia Evanindya from architecture and design firm FFFAAARRR, Indonesia’s national stand will be split into two sections. The 400 square meter ground floor is set to accommodate as many as 23 publishers while the smaller upper floor is set to exhibit other intellectual property products from 10 companies. A total of 450 books will be exhibited during the fair, placed on the walls and along the stairs in the stand. “The hardest part is creating attractive synopsis for the books, since not all of them have been translated into English,” said Laura. Publishers will be assisted by rights agents to help with the deal. For this year, the committee is targeting 50 book deals, with literature and children books expected to be the leading genres. Indonesia will also host the Spice Cafe in order to promote its coffee, tea and jamu (traditional herbal drink) as well as various traditional snacks. Visitors can try a cup of Java served by Kopi Pak Wawan, a coffee roastery based in Pasar Minggu, South Jakarta. 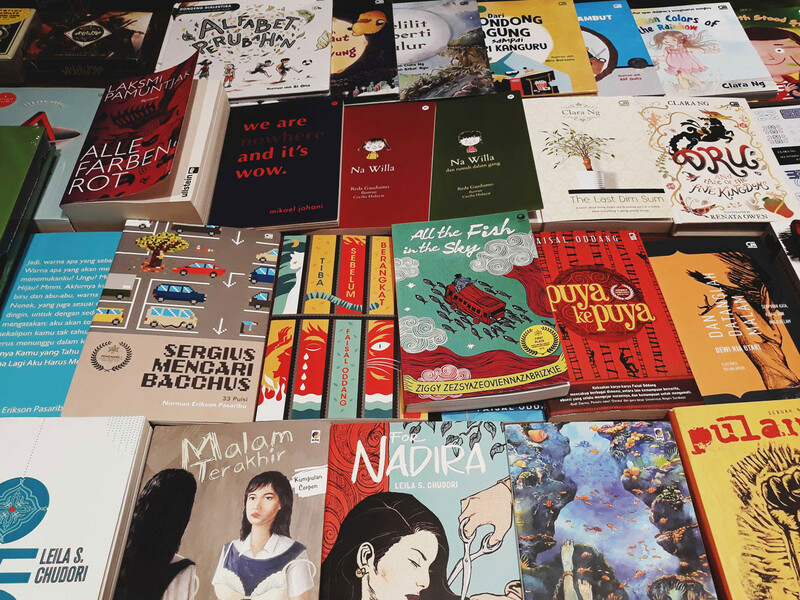 While the LBF is mainly a business-to-business event, Indonesia has prepared as many as 100 programs to promote Indonesian literature across London. Twelve authors have been selected to help with the programs, all of them having a book translated into English. Aside from the writers, 20 professionals from other creative industry sectors will be part of the delegation. The authors are Agustinus Wibowo, Clara Ng, Dewi Lestari, Fasial Oddang, Intan Paramaditha, Laksmi Pamuntjak, Leila S. Chudori, Nirwan Dewanto, Norman Erikson Pasaribu, Reda Gaudiamo, Seno Gumira Ajidarma and Sheila Rooswitha Putri. Seno Gumira Ajidarma has been selected as Author of the Day and will appear on March 13. The author, also a journalist and lecturer, is known for his political and socially conscious short stories and his genre fluidity.